Trigger warning for descriptions of police and medical abuse. 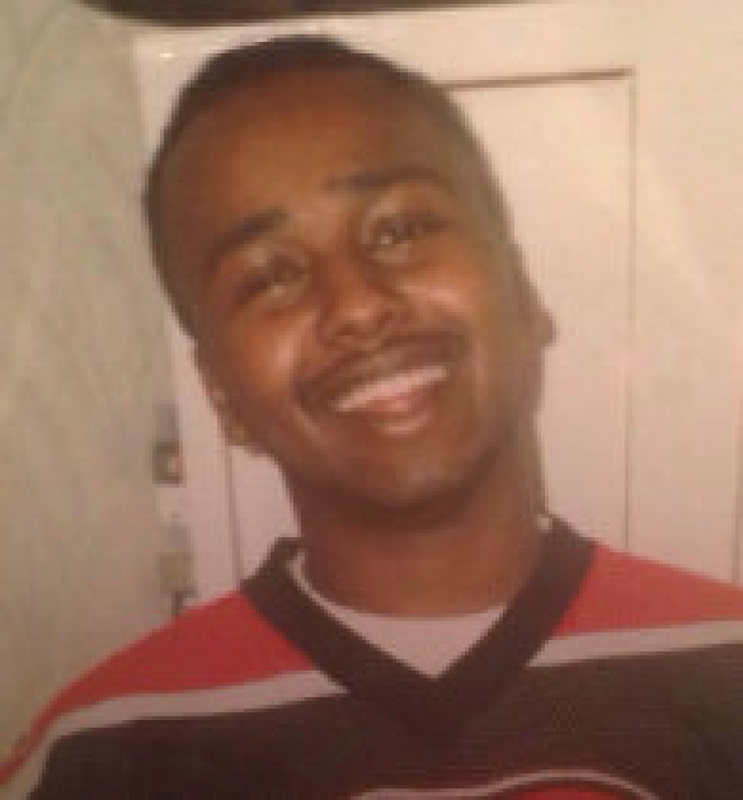 At 6:20pm, last Friday evening, the Ontario Special Investigations Unit (SIU) released its decision to not charge police officers for restraining Abdurahman Ibrahim Hassan as he died on June 11, 2015. The decision was issued in the form of a press release, and the details were not shared with the family prior to it being sent to the media. The press release is brutal, dehumanizing and graphic, and we have struggled with how to share it with you. Since we’ve read the press release, many of us have cried for hours. Those of us that have suffered directly or seen our loved ones experience imprisonment, denial of immigration status, medical pathologization, and disturbing abuse for mental health illnesses are devastated and filled with rage. We have found solace in all the healthy and unhealthy ways we know how to cope. For us, and possibly for you, this press release is beyond triggering. The SIU press release – which doesn’t even name him – describes Abdurahman’s death throes in dispassionate detail: armed police officers using a rolled towel to hold down his face until he dies. This press release paints a picture of Abdurahman that must be fought and negated. Abdurahman was a joyous man. He loved his nieces and nephews and wrote them long letters promising to take them to amusement parks when he was finally released. He was funny and joked with fellow prisoners, nurses, even the corrections staff. He had a limp – a result some say of being beaten in prison. He had diabetes, and sleep apnea, and a number of psychological ailments for which he took medication. All this, at a young age of 39. A result of a difficult life, yet he spread happiness everywhere he went. He came to Canada as a refugee in the 1993 from war-torn Somalia. He was a teenager. While his siblings and mother were granted permanent residency status, his permanent residency was delayed and then denied because of petty crimes. The instability of living without status worsened his psychological health. In 2012, he was separated from his sister, nieces and nephews and jailed in a maximum security prison, Central East Correctional Centre (CECC), on behalf of Canada Border Services Agency. At monthly hearings, government lawyers argued that he would be deported soon, but deportations to Somalia are almost impossible so he remained indefinitely imprisoned for over three years until his untimely death. The press release details how Abdurahman was sedated after being pinned down by police officers once already. Nurses and police officers re-entered the room to clean it, and when he woke up, they held him down until he died. The release outlines a few very specific actions by Abdurrahman, that are intended to dehumanize him. In it, the SIU insists that medical asphyxiation was not deemed a cause of death so the officers cannot be held liable. To date, more than a year later, no cause of death has been issued at all. There are many questions, from the particular to the general. Why was Abdurahman held down with a towel wrapped around his face? Why did police officers hold him down without being instructed to do? What is the cause of death? What happened in the day leading up to his death – what care was provided? How was he treated in immigration detention? Did he get the supports he needed? Why was he in a maximum security prison for three years without trial or charges? Why can Somalia not issue travel documents and knowing that it can’t why does Canada indefinitely detain migrants where no deportation is possible? Why was Abdurahman’s refugee status revoked? Why was Abdurahman jailed and not given support when he first arrived in Canada? Why did his family flee Somalia? We know some of the answers for they lie in the interlocking systems of imperialism, capitalism, racism particularly anti-Black racism, ableism, the prison industrial system and lack of support for people with mental health illness. The system did not fail Abdurahman, it worked exactly as intended. The press release outlines the minutes before his death as utterly rational. The nurses and police officers were simply trying to clean, we are told. His life, his body deemed filth, had to be quickly sanitized. At issue, we are told, was his resistance, not all of the ways in which he was denigrated till he arrived in that bed. Everything seems routine and by the book. The SIU an unaccountable and opaque system unlike few others has cleared police officers of any wrongdoing. A Coroner’s inquest will take place in two years but that will make no finding of guilt and its recommendations do not need to be implemented. The CBSA, as always, has nothing to say. This is how they want Abdi’s story to end, without anyone being held accountable. This we refuse. We indict all the systems that colluded in his death and we commit yet again to fighting them. Today, about 50 men are on hunger strike. Each of them fears dying like Abdurahman. This, we cannot allow. In hospitals, corners are disliked, they are seen as places for germs to aggregate–hard to sanitize. In prisons, human beings are isolated into individual cages, sometimes in segregation, because our oppressors know the power of aggregated human bodies. Let us be the germs in every crack. Let us aggregate. Let us build movements stronger than their prison walls. Today we remember Abdurahman’s smile, his love, his desire for life and his desire for freedom. Today we insist even more passionately, not one more. End immigration detention.